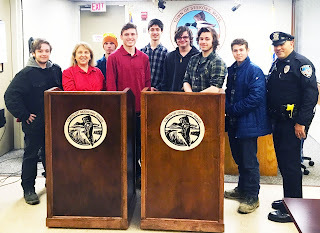 Two oak podiums were delivered to the Seekonk Public Safety Communications building by students in the Carpentry program at Tri-County Regional Vocational Technical High School. The collaborative project involved other Tri-County vocational program students including Engineering Technology and Advanced Manufacturing. The students used their fine skills in designing and building the podiums with the help of Engineering students. 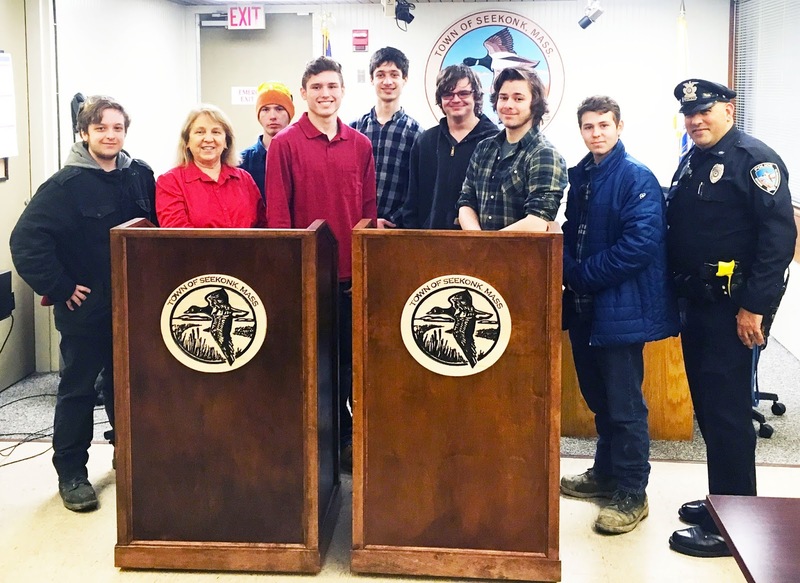 Then, they were challenged to program a CNC router, in conjunction with advanced manufacturing students, in order to design the town of Seekonk logo in wood. The Municipal project gave carpentry students valuable hands-on experience in reinforcing their existing skills while working with new technology. Municipal projects give students in Tri-County’s Career Programs valuable hands-on experience in their industry. To learn more, visit: www.tri-county.us.